Three yummy-soft pieces in our speckled textured over-dyed in olive. Measurements on this page are for the tunic only. 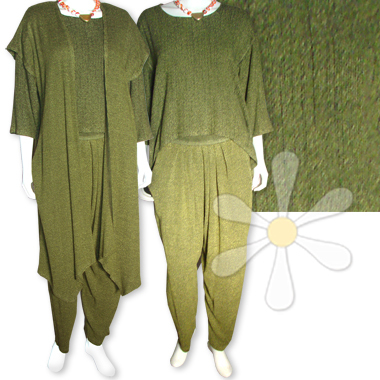 For measurements and other details, see our main JASUR page for the jacket and SOUK page for the pants.